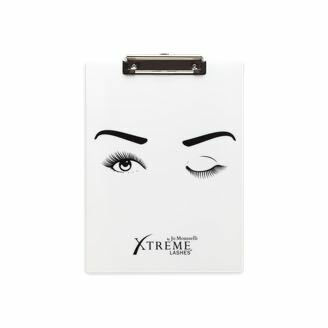 Spice up the paperwork in your life with this custom designed Xtreme Lashes Clipboard. Made with Lashistas® in mind, this clipboard is perfect for organizing your various forms and documents. Great for both eyelash extensions stylists and their clients. With a beautiful lash design on the front and back of the clipboard, it also serves as a beautiful decorative piece when not in use.